Sometimes you want to execute a code on your website to change or test something. 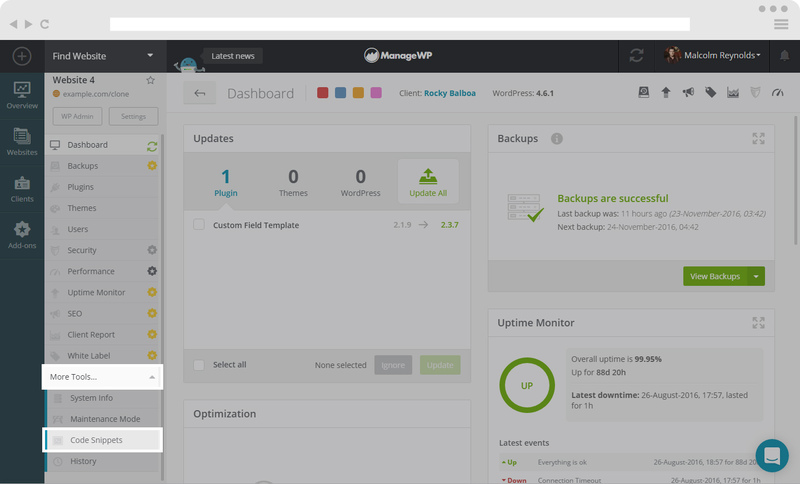 The easiest way to do that is with our Code Snippets, directly from your dashboard. 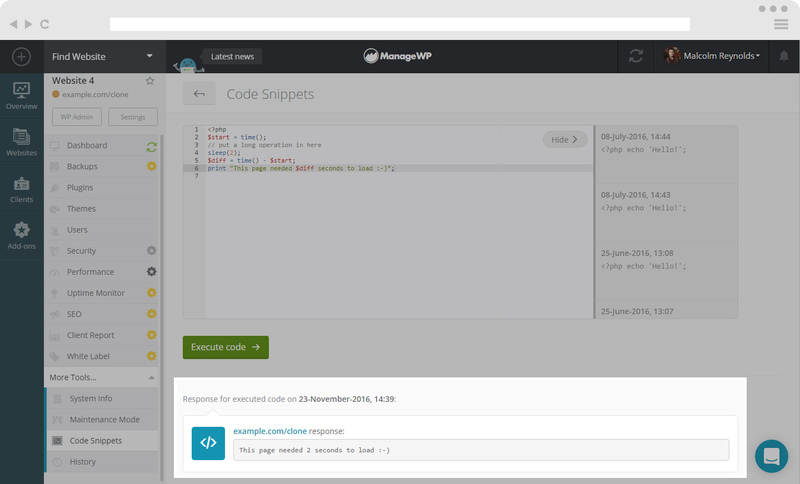 In order to find the Code Snippets, first select the website you want to use it on. On the left hand side menu, you will see a list of option. 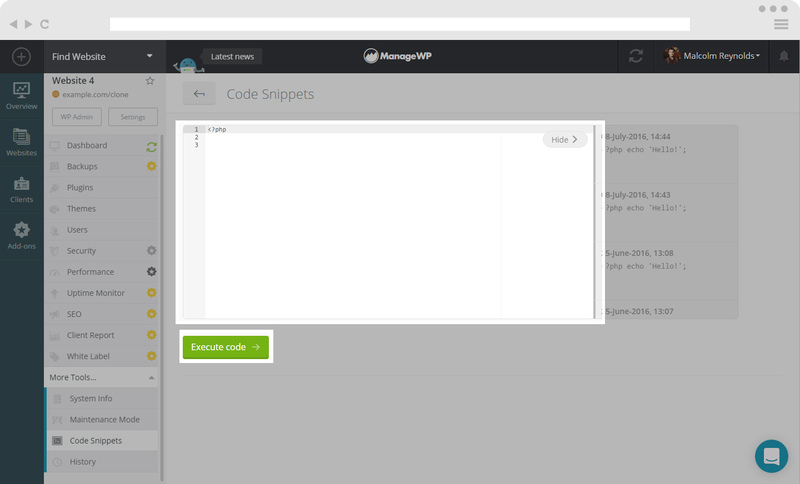 Click on the Code Snippets button and you will see the above screen. 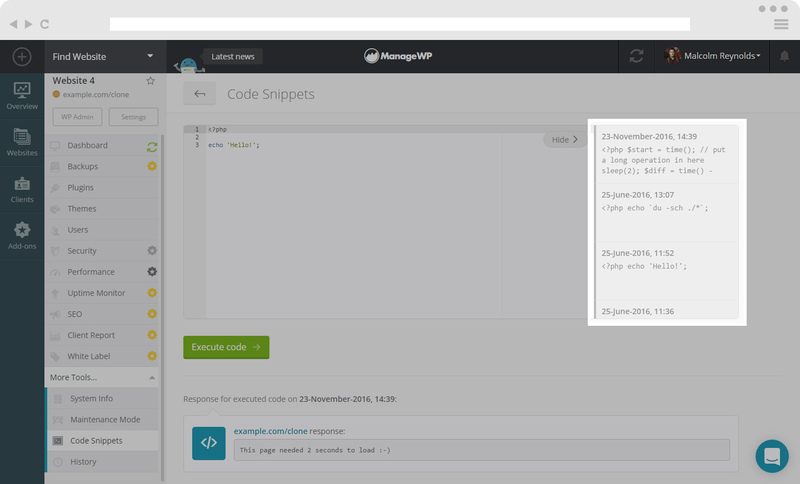 When you have found your Code Snippets Tool for the website, you will see the box with the open PHP tag. 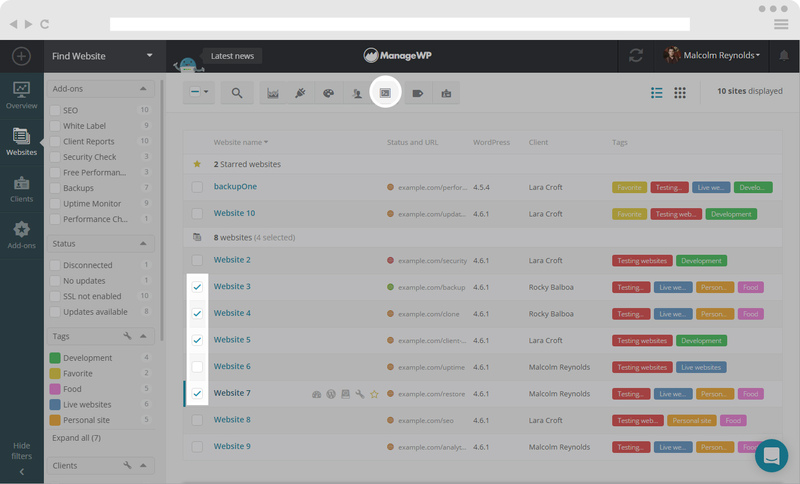 Write the code you need to execute on your website and click on the Execute code button. After executing the code you typed, below the Execute Code button, you will be able to see the response for the executed code. Every code you executed is being saved in history, so by clicking on Show history on the right, you will be able to reuse the code you executed before. If you want to use the same Code Snippet for several websites on your dashboard, you are able to do that by selecting the websites in your dashboard, and clicking on the Code Snippets icon in the top menu bar. 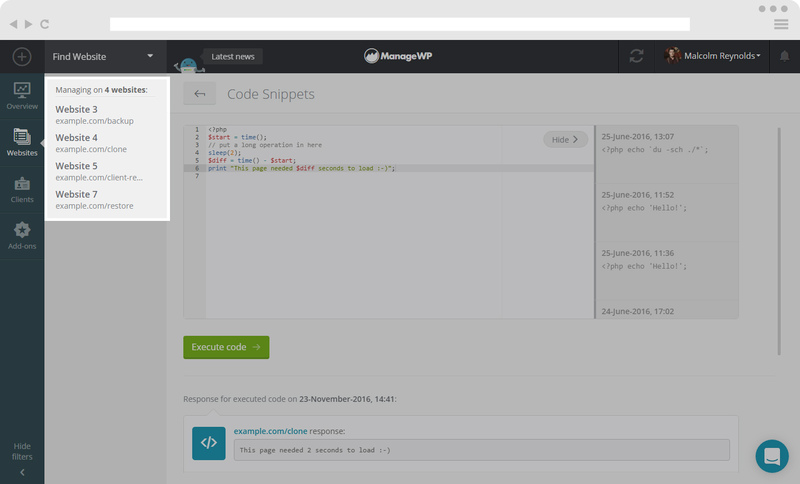 This will send you to the Code Snippets. On the left hand side you will be able to see the websites that are selected to use this tool on. The process is the same as when using the Code Snippets for a single website. Please follow the instructions above. Here are some safe and useful Code Snippets that you might use on your sites.